In a breaking, staggering bit of good news, President Obama has commuted the prison sentence of former Army intelligence analyst Chelsea Manning, who has been imprisoned for seven years for leaking military documents in 2010. Obama drastically reduced Manning’s 35-year sentence. She will now be freed on May 17. 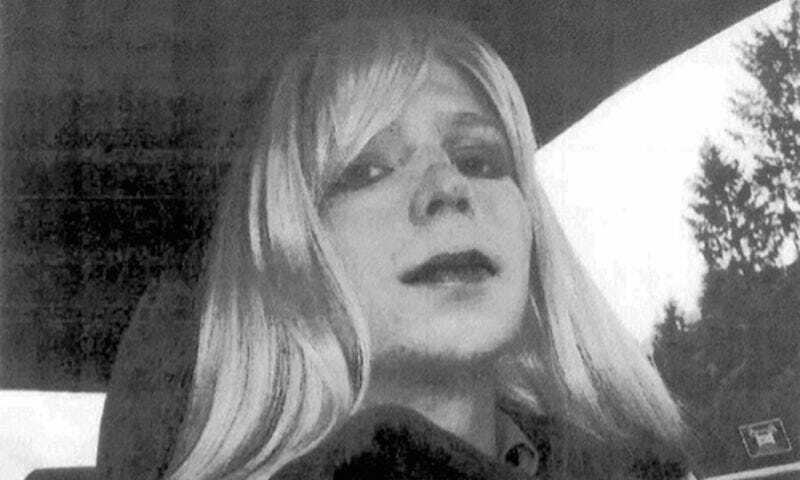 Manning, who is a transgender woman, has attempted suicide at least twice while in military custody. She has been in the midst of an ongoing battle with military officials over the level of gender-confirming medical care she’s entitled and launched a hunger strike in September to gain access to gender confirmation surgery. The same month, she was sentenced to solitary confinement for attempting suicide. Manning leaked the documents to WikiLeaks in 2010; in another weird wrinkle, the organization said earlier this month that Wikileaks founder Julian Assange will agree to be extradited to the United States if Manning was granted clemency. “Clemency” can mean either a commutation or an outright pardon. It’s not clear if Assange will stick to that pledge. One of Manning’s attorneys, Chase Strangio, celebrated on Twitter; the account linked to Manning herself hasn’t sent out a statement yet.